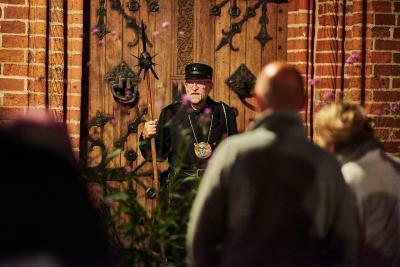 Lock in a great price for Danhostel Ribe – rated 8.4 by recent guests! The gentleman checking us in was so helpful and kind. The location is perfect. The view to the city is worth a little extra. Such a nice stay. Front desk was very helpful and informative. We had a great view to the old town from our window. Good breakfast. Good location. Lovely view of the cathedral. Excellent wifi. Breakfast buffet was excellent. Loved all the little gathering areas. Quiet location close to central areas. Great position, a short walk to the city center. The quadruple room is not that big but was perfect for us (4 friends). Stuff is kind and cheerful. Great value for money! The view was like something from a postcard and the location was perfect, so close to the best ice cream and waffle shop! Good breakfast with good variety. 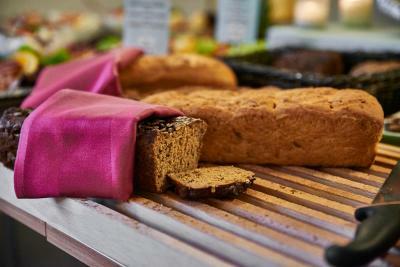 Excellent to have access to a pentry/kitchen with tableware. Nicely designed and upmarket B&B which is clean, functional with many facilities and common spaces. After reading the reviews, we opted for a larger than normal room so didn't have issues with the space. Good choice of accommodation if you are looking for something modern rather the hotels in town which are in older buildings. Great organic breakfast with lots of variety ; washing machine and dryer available : outside seating area ; free parking behind hostel. 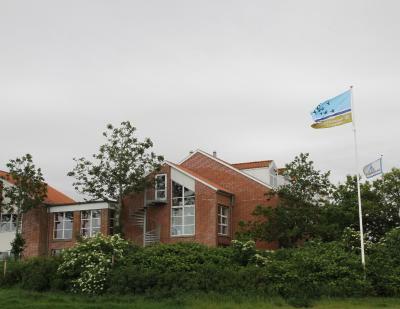 Just 5 minutes’ walk from Ribe Station, this eco-friendly hostel offers views of the Old Town and Wadden Sea National Park. Guests enjoy free Wi-Fi, free parking and private bathrooms. Danhostel Ribe’s simple rooms have their own toilet and showers. Guests can rent bed linen and towels at the hostel or choose to bring their own. A communal kitchen and TV lounge can also be accessed. Hairdryers and irons can be borrowed at reception. 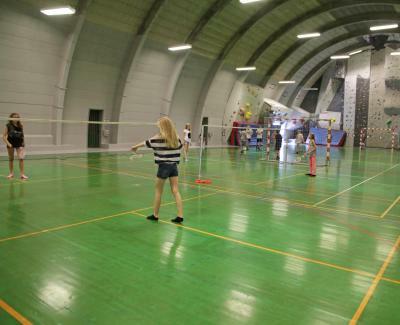 A nearby sports hall offers badminton and indoor football facilities. More adventurous types can try one of Denmark’s best climbing walls. 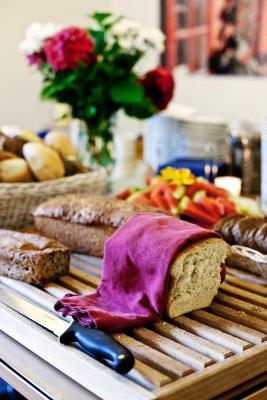 When would you like to stay at Danhostel Ribe? 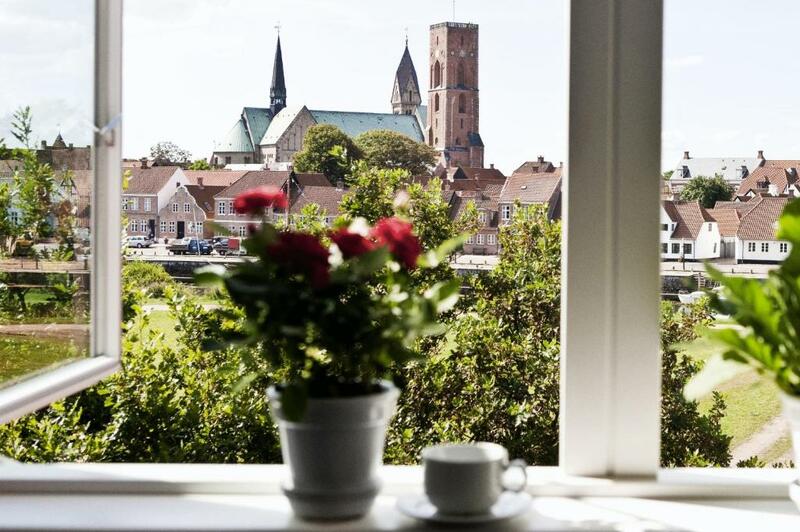 These rooms offer views of Ribe’s historic quarter, which dates back to the 8th century. 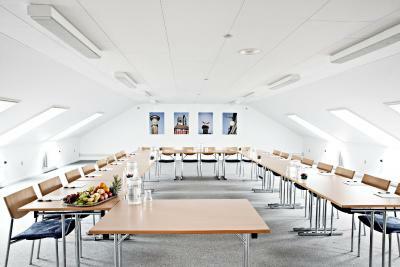 These rooms offer views of the Wadden Sea National Park or Ribe’s Old Town, which dates back to the 8th-century. These rooms face the quiet inner courtyard. This top-floor room includes a bathroom with shower. 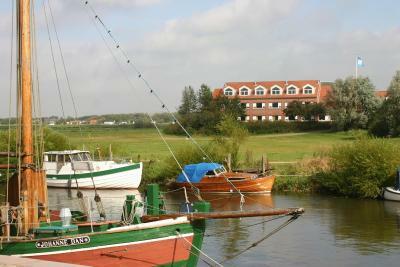 Danhostel Ribe is located in the heart of Denmark's oldest city with direct access to the Wadden Sea National Park. 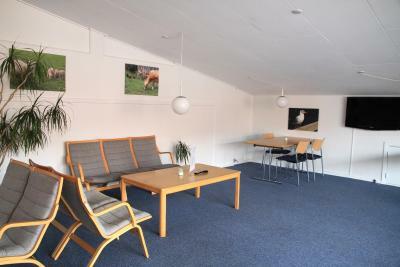 Danhostel Ribe is Ribe is a family and youth hostel. 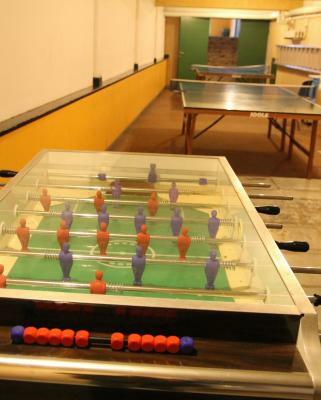 The hostel has it's own sports hall and rooms have private shower and toilet. From the hostel is a 5 minute walk to the city's landmark, Ribe Cathedral, with modern decorations and with a 52 m. high tower from where you can overlook the Ribe center and the national park. 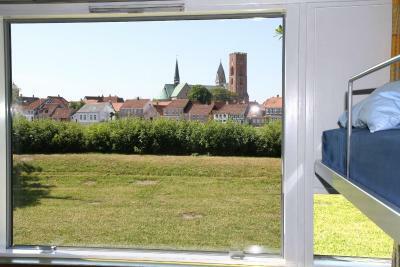 Half of the hostels rooms overlook the old part of Ribe town and the national park. 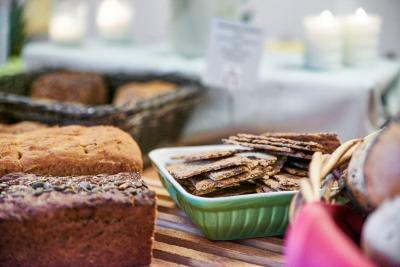 We bike rental, garden, table tennis, gym and buffet breakfast with homemade bread, homemade jams and organic muesli. In addition, upon arrival you will receive a RibeCard that provides you with an overview and discounts to city attractions. 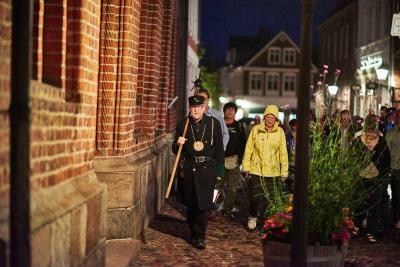 In Ribe's Viking Museum and Ribe Viking Centre you can see how the Vikings used to live. 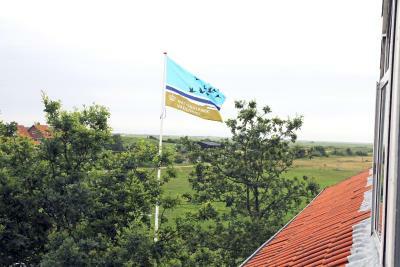 The Wadden Sea National Park offers great natural beauty and experiences as Black Sun (starlings), seals and oysters. 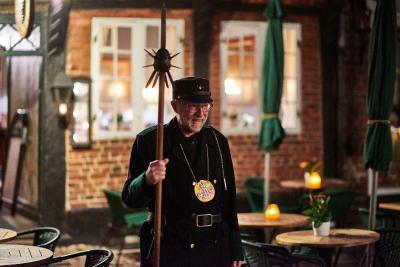 Stay in the heart of Denmark's oldest town - stay in Danhostel Ribe. 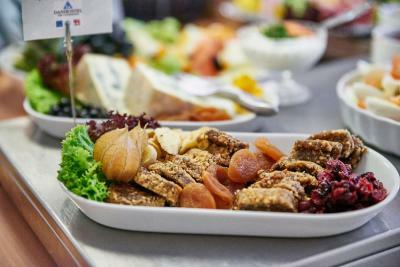 House Rules Danhostel Ribe takes special requests – add in the next step! Danhostel Ribe accepts these cards and reserves the right to temporarily hold an amount prior to arrival. 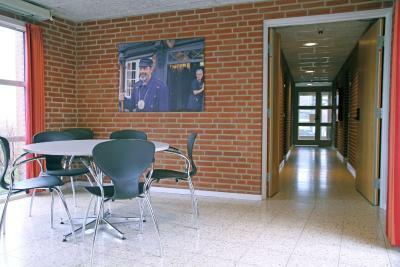 If you expect to arrive outside reception opening hours, you are required to contact Danhostel Ribe on the day of arrival. Bed linen and towels are not included. 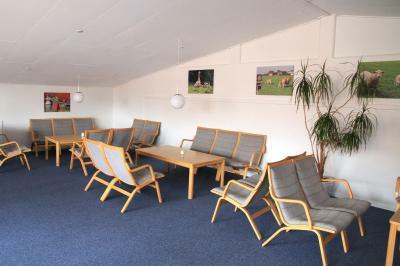 You can rent them on site for 70 DKK per stay per person, or bring your own. Sleeping bags are not permitted at Danhostel. No towel, no soap no nothing - after you’ve paid to rent bed linen - that’s too lousy. Breakfast was expensive (75 DKK) so we didn't take it but we later realise that there aren't much better early breakfast options in town either as earliest cafes open from 10am. Found the beds and pillows a touch too soft for our liking. The staff were so friendly and helpful and understanding I couldn’t get over it! What a wonderful room! Giant window that opened and a great view of the waterfront! Nice spot to park our bicycles, too!